Electric motors are everywhere. Whether it’s a household appliance such as a water pump or refrigerator, or a conveyor belt, AC motors are a crucial part of so many every day processes. But these motors can encounter a variety of problems. Some issues are on the more serious side and require detailed repair or replacement, but other motor problems are resolved through a straightforward motor rewind. Miami Pump offers electric motor rewinding services to our residential and commercial customers in and around the Miami area. We will rewind your motor quickly and efficiently to ensure that it’s back up and running in what seems like no time at all. Many are unsure about why electric motor rewinding is a necessary service. Motor rewinding is a process that can help in the repair of shorted, grounded or damaged coils in a motor. A motor rewind means that a coil is rewound and reinstalled for the necessary armatures or other components. The goal is to get the motor back to functioning at its optimal level. Motor rewinding can help with motors that are either performing inefficiently or have stopped working altogether. Our team has been servicing motors for residential and commercial customers since 1980. 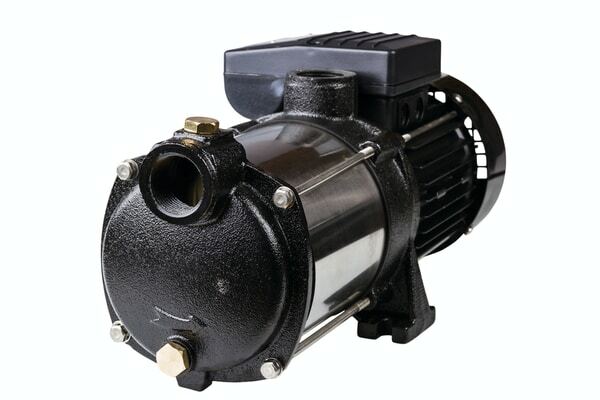 We are the premier provider of pump and motor services in the region. We can service both AC and DC motors. When a motor rewind is performed properly, there should be no loss of efficiency. In fact, a professional motor rewind will result in better power density, efficiency and reliability in the motor. A rewind can even add upgrades, as it’s accompanied by the installation of the latest resins and insulating tapes. The result is improved thermal dissipation, which is particularly noticeable with older motor rewinds. The last thing you want to do is give your motor to a technician who does not know what they’re doing. A poorly performed motor rewind can cause further damage and create additional motor issues. At Miami Pump and Supply, our technicians are certified and trained in motor rewinds for all major brands/types of motors – we follow a very strict process to ensure that every motor rewind is performed accurately and correctly.